As the Black Eyed Peas move from an R&B hip-hop type band to electro/techno, it seems their buzzy leader, Will.i.am, wants to start working on technology rather than music. After talking with Simon Cowell on a possible tech factor, that has the same format as the X-Factor but for nerds and also having a seat on the Intel board, we can see that Will.i.am is interested in technology. 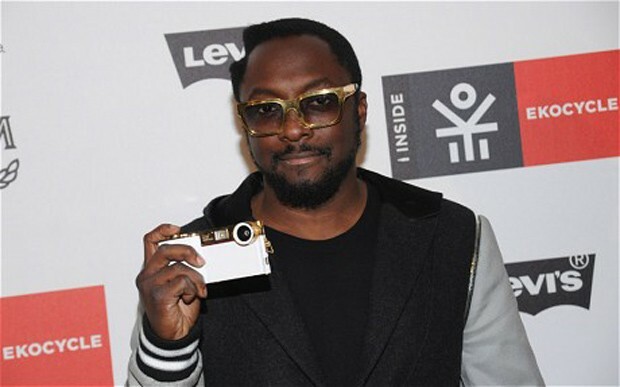 Will.i.am is now preparing to launch a more powerful camera accessory, which you can put on your iPhone 4, 4S and 5. It will “turn your smartphone into a genius phone”, according to the Black Eyed Peas front man. He says “its own sensor and a better flash”, turning your phone into a 14 megapixel top shooter. This may be a good foresight, as we move into a more Instagram age where photos are a big part of a smartphone. Cameras are a big topic in reviews and some deciding votes on what smartphone to buy can be all about the camera quality nowadays. The camera accessory will be white and gold, with a photo cone for better image quality. Very glam, for those that like gold on their phones. We find it a bit off-putting, especially when it is going to hide that brilliant industrial design we like on the iPhone. The camera accessory will be the first in a line of new “i.am+” branded features, which launch on November 28. Selfridges will launch the camera accessory in London and will not be available anywhere for a while, until the i.am+ range starts branching out. Not known for its cheap prices, we can see the i.am+ range being quite a hefty burden to any big Will.i.am fan. We cannot see people really wanting to get this for the iPhone 5, when one of the key features of the smartphone is the lightweight design.